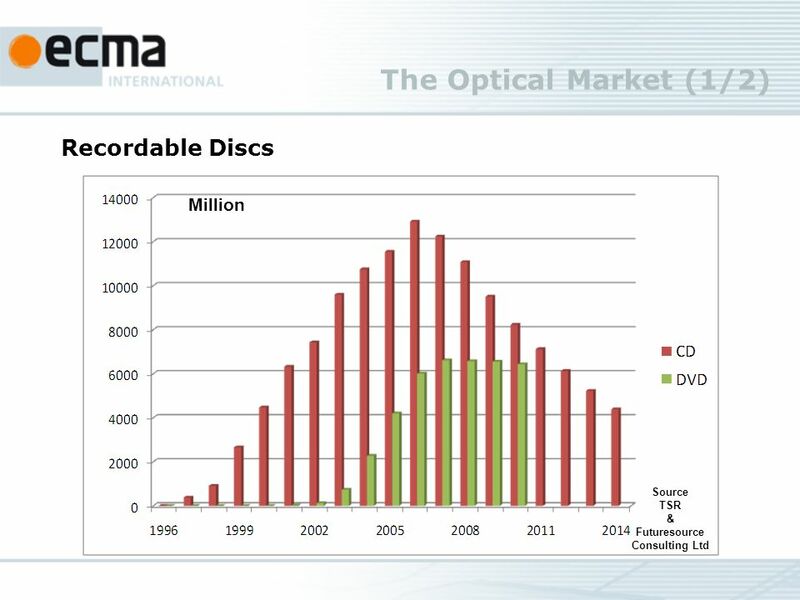 Optical Discs Ecma Golden Jubilee June 29 th, 2011 by Paul Weijenbergh. 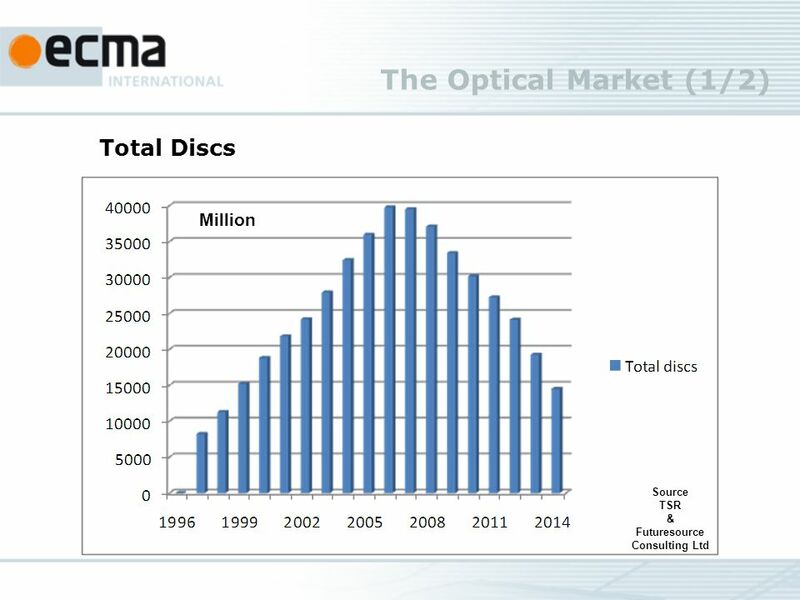 5 The Optical Disc World (4/4) The last one (?) 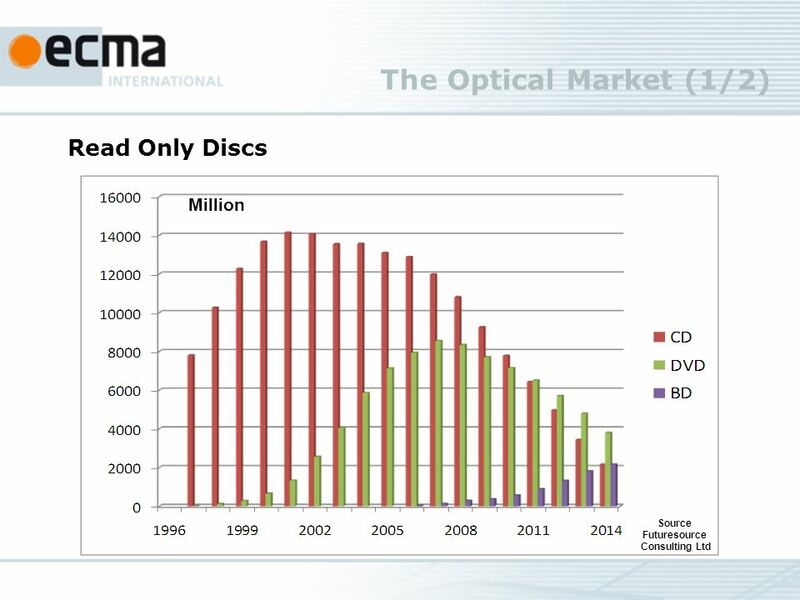 2015 – 2025 Introduction of Blu-ray Disc in 2006 BD-Video 2 hours of High Definition Video BD-Rewritable Single & Double Layer 25/50 Gbytes Triple Layer 100 GBytes BD-Recordable Single & Double Layer 25/50 Gbytes Triple Layer 100 GBytes Quadruple Layer 128 GBytes Ecma standards ??? 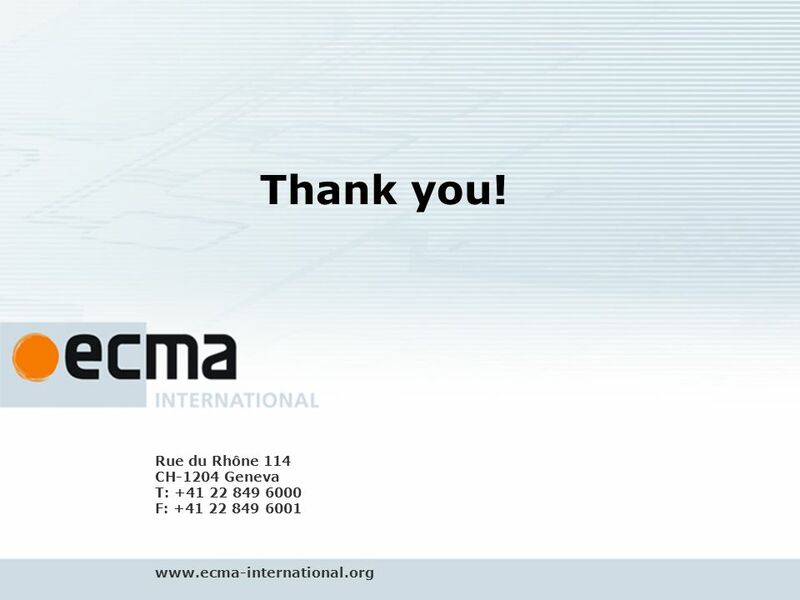 11 Rue du Rhône 114 - CH-1204 Geneva - T: +41 22 849 6000 - F: +41 22 849 6001 - www.ecma-international.org 11 Address Ecma is driven purely by the will of its members It is run by industry for industry, and is aware of your time and cost constraints Proven system for getting things done right and on time The know-how of the secretariat, GA and CC guides technical experts through international standardization jungle The Ecma process filters out non-commercial interests, resolves competitive clashes which are not productive The fast track by Ecma saves you time and money. 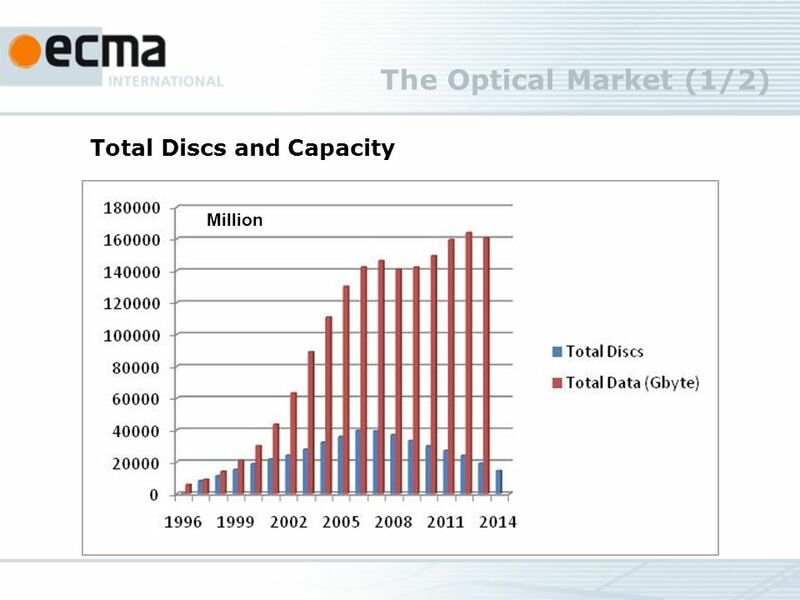 If you get three members together for a project, it can not be stopped by other members Ecma works readily on several competing solutions to the same problem The development of an Ecma Standard takes (typically) no more than half the time required to develop a similar standard in any competing forum. 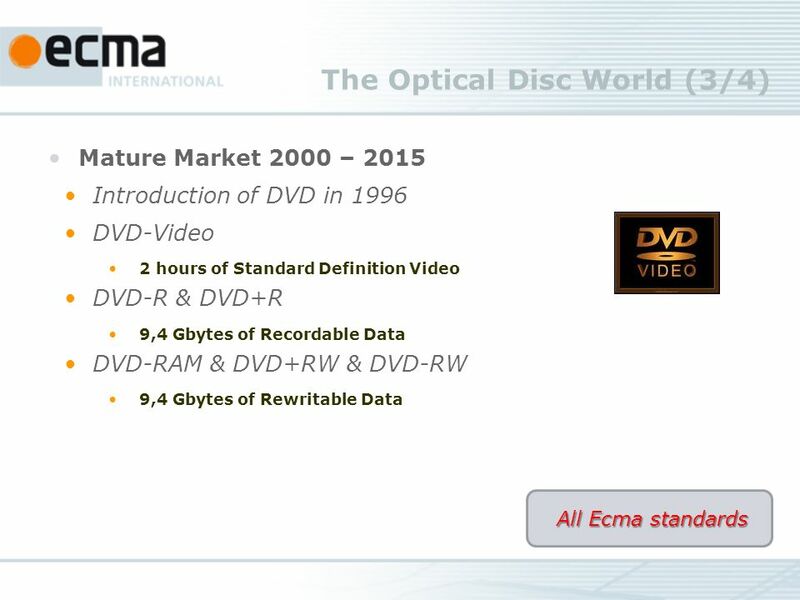 Ecma Standards are recognized worldwide as amongst the highest quality 4. ????? Rue du Rhône 114 CH-1204 Geneva T: +41 22 849 6000 F: +41 22 849 6001 www.ecma-international.org Thank you! 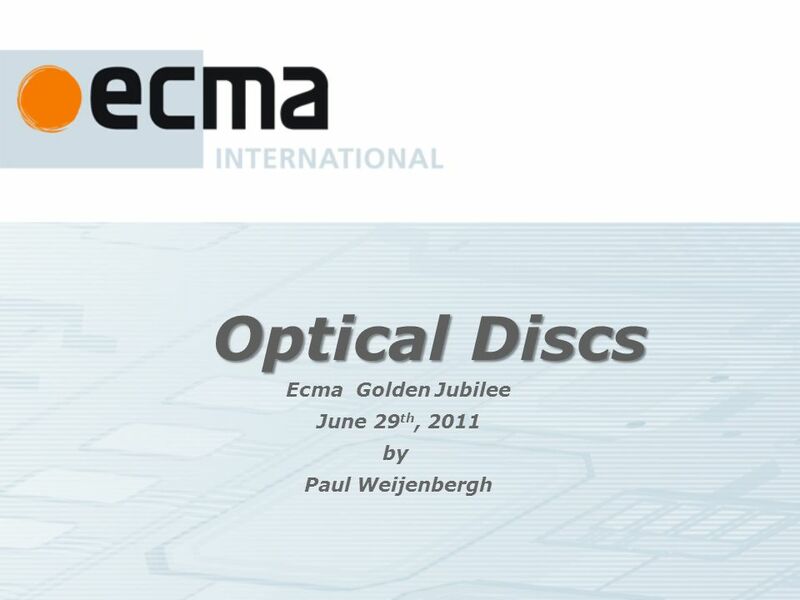 Download ppt "Optical Discs Ecma Golden Jubilee June 29 th, 2011 by Paul Weijenbergh." Rue du Rhône CH-1204 Geneva - T: F: Ecma TC32-PNF From Personal Area Networks to. 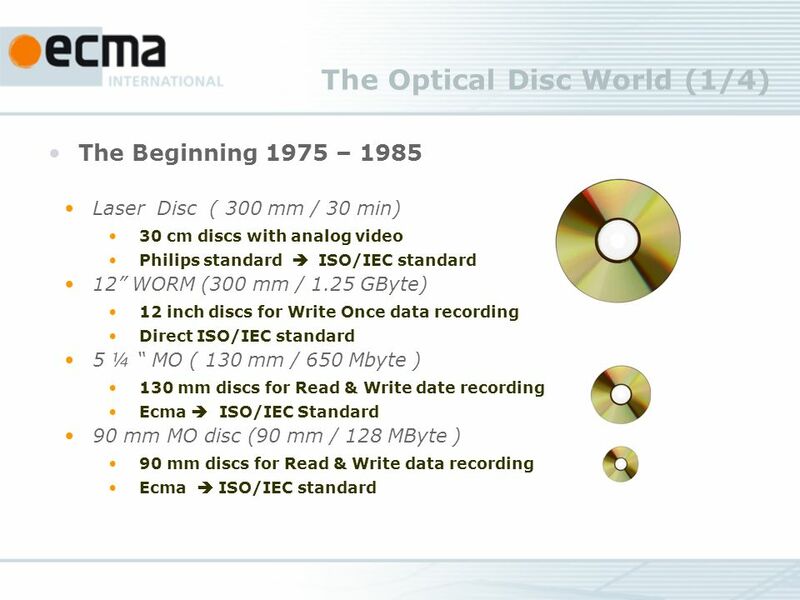 Security Standards for NFCIP-1 Ecma/TC47/2009/024-Rev1 TC47. 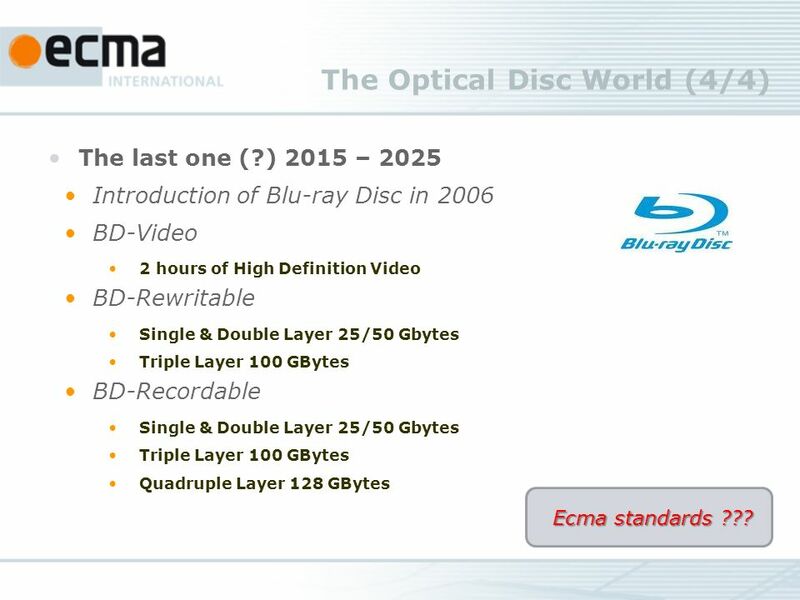 High Rate 60 GHz PHY, MAC and HDMI PAL Standard Invitation to ETSI BRAN, WiMedia and JTC 1/SC 06 open review For Ecmas comments and dispositions to DISs. 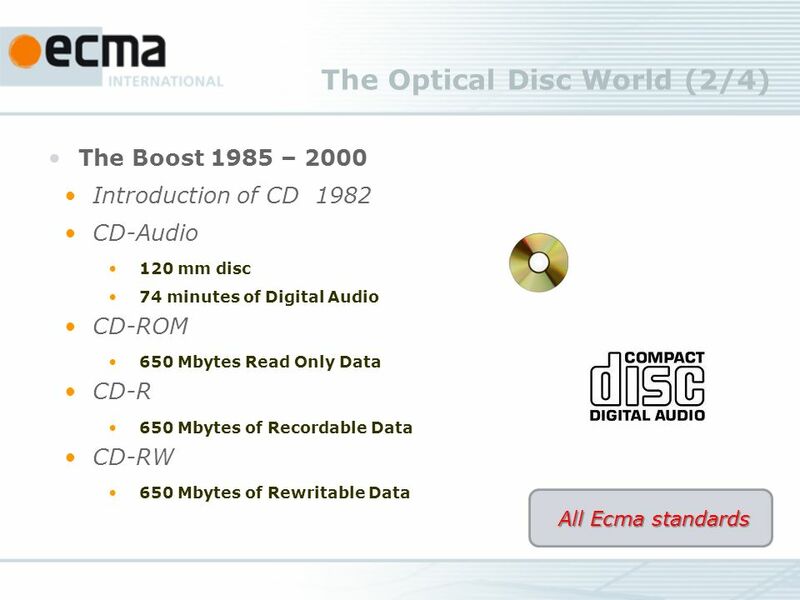 Rue du Rhône 114- CH-1204 Geneva - T: F: Ecma International TC38 Scope, Aims, Status and. 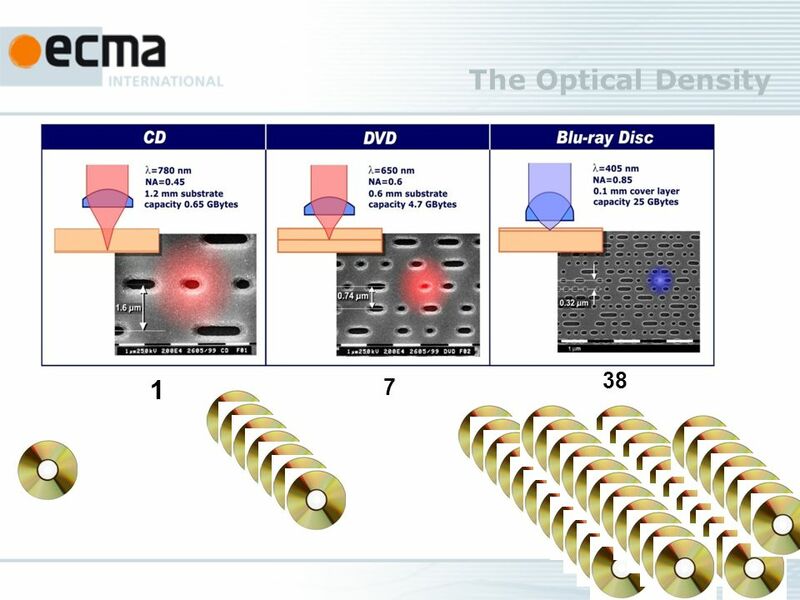 Product Safety Engineering TC12, May 2009 Ecma/TC12/2009/011 From: Incident-based Product-specific Construction-based Reactive To: Hazard-based Technology-independent. Rue du Rhône 114- CH-1204 Geneva - T: +41 22 849 6000 - F: +41 22 849 6001 - www.ecma-international.org Ecma International TC38 Scope, Aims, Status and.